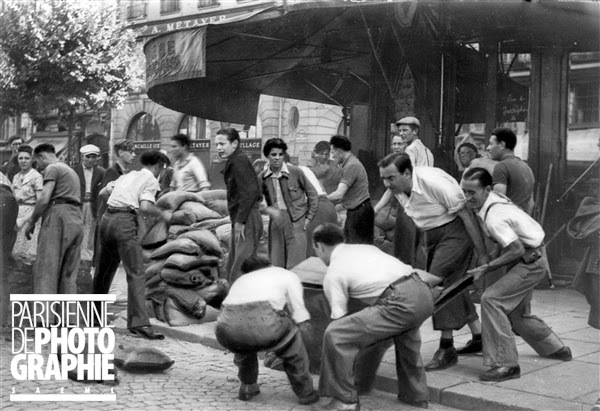 On 25 August 1944 Paris was liberated by General Leclerc's Second Armoured Division and the Allies. 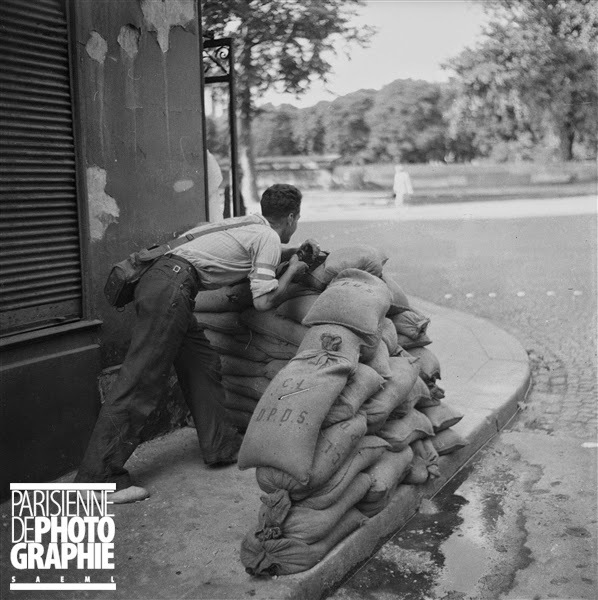 Two and a half months later, with France and the Allies still battling the Nazis, the Musée Carnavalet began the historical record with a Liberation exhibition that opened on 11 November. François Boucher, the curator and a member of the Resistance, had set out to 'bring together the documentation essential for future historians'. He had consulted official bodies and put out an appeal through the press to help him 'assemble as much information as possible on the events of the Liberation of Paris'. More concerned with immediate emotion than historical accuracy, his spontaneously organised exhibition was an enormous success. This exhibition gives us an up close look at how photographs were created in wartime. The original material from 1944 is on display, along with material that was documented at a later date. (I particularly appreciated the labels clearly indicating which images were shown in the original exhibition - interesting to see what was collected so soon after the Liberation). I'm ashamed to say (especially as I'm married to a photographer) that I've never really given much thought to this aspect of war. We often remember the images, but rarely those who risked their lives preserving history. The stories of these men are not easy. They were no different from the soldiers, the Resistance, and the civilians. They suffered the same fear and confusion. The Musée Carnavalet is a wealth of information on the city and I highly recommend a visit. If you're not lucky enough to be in Paris, the website offers a fine overview of the collection. Last entrance for individual visitors at 5 pm.